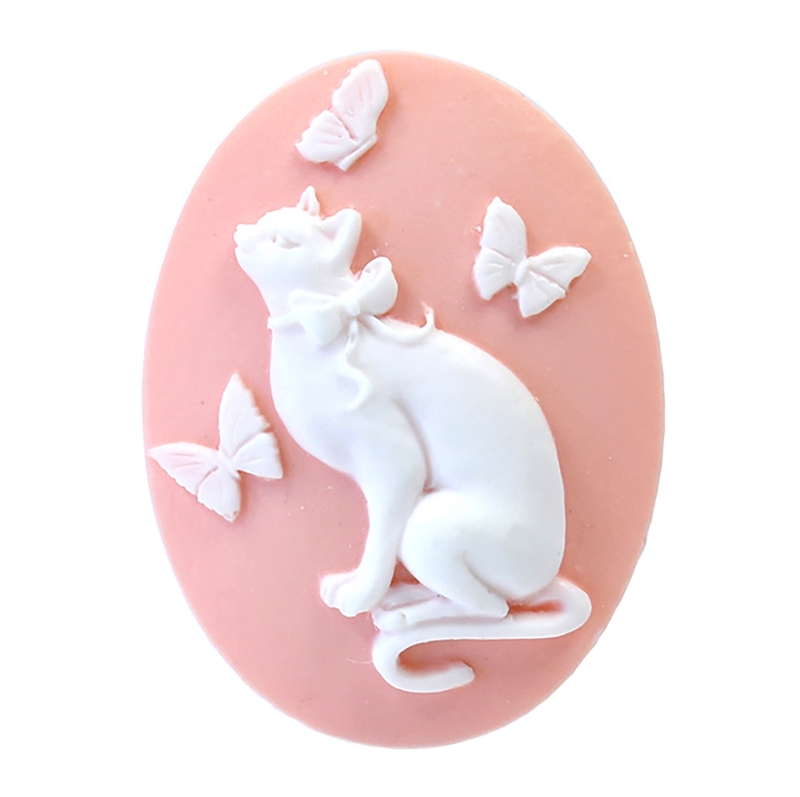 Cat with butterfly cameo, imported resin, cat, butterfly, white on pink. Measures 40 x 30mm. Beautiful detail cat with bow, chasing butterflies. Sold by the piece.